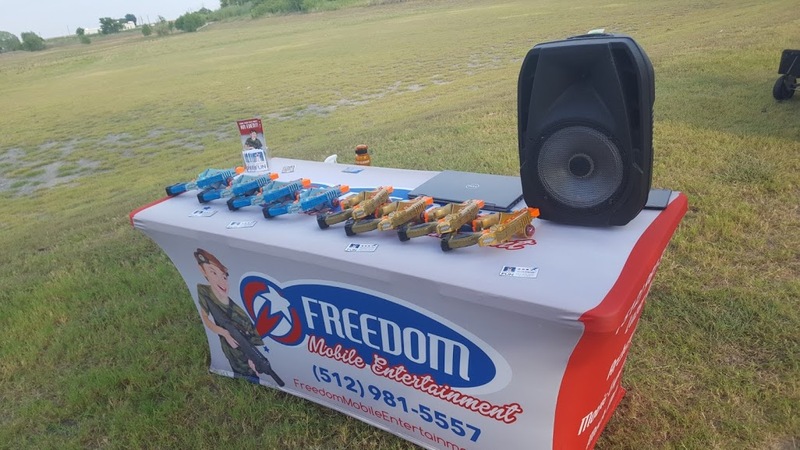 Get 10 Nerf laser tag guns with your bounce house! What could possibly be more FUN than having a bounce castle and 10 laser tag guns at your party? These simple & versatile Nerf branded taggers have awesome light & sound effects & are very easy to use so you don't have to worry about a thing. They can be used in small or large spaces, day or night. Perfect for birthdays, community events, school carnivals, church events and more. We rent 100's of these popular items every year & guarantee that you can't beat the bang for the buck with this amazing combo package. Everyone will love it and you will be a party pro! You keep overnight. We will train the host. 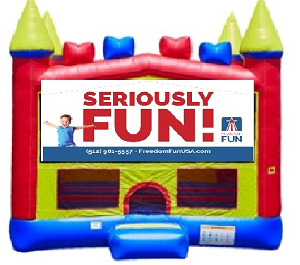 Don't worry , this is super easy & we've had 100's of happy bounce house and Phoenix customers. Easy & hassle free - keep all day at a great price! Easily entertain 30+ kids at the location you choose & with the food of your choice. Play anytime & anywhere - Play inside, outside, day or night - small spaces no problem. 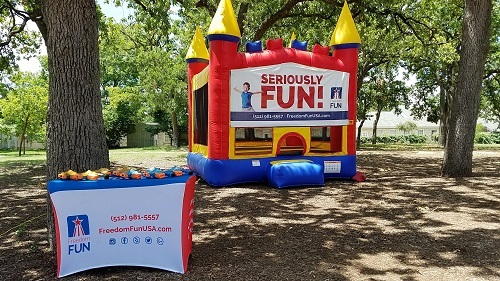 Life is to Short for a Boring Party - You just can't go wrong with 10 LASER TAG guns & a really COOL FREEDOM FUN BOUNCE HOUSE that has a basketball hoop inside! Call 512-981-5557 and talk with our party pro's and together we will select a package that is perfect for your celebration! Click here to send us message. You will love how fast our team is at responding!